There's no grand philosophical project behind Charge Shot!!! 's new feature. Jordasch's mom got him Janus Films' absolutely untouchable Essential Art House box set, and he's going to watch the whole thing. It's a behemoth set, collecting 50 films released since 1956 by one of the first distributors to bring honest-to-goodness world cinema to U.S. shores. The films contained in the collection serve as a crash course in world cinema, encompassing everything from major works of the French New Wave and the Italian Neorealist period to films from lesser-known corners of the filmmaking world, including Brazil and Poland. The collection is 50 discs, weighs 16 pounds, it's dark, and we're wearing sunglasses. Hit it. Way 1: Talk about philosophy a lot. Quote from the Bible, preferably the book of Revelation. Have your characters discuss the meaning of life and death. Include a character to personify the latter. Have the death character and the main character interact in some achingly allegorical way. See Seventh Seal, The. Way 2: Talk about philosophy less. Put together a film that has some philosophical weight but could just be a romping good action movie. Make sure the sum total of your plot points form some kind of coherent philosophical project. Co-opt a beloved modern folk hero. See Dark Knight, The. Way 3: Don't talk about philosophy. Assemble a beguiling, mysterious scenario. Let us see it from four different perspectives, each as plausible yet doubtable as the next. Give us no hint as to which one is the truth. Tinker with the way we perceive the language of film. See Rashomon. 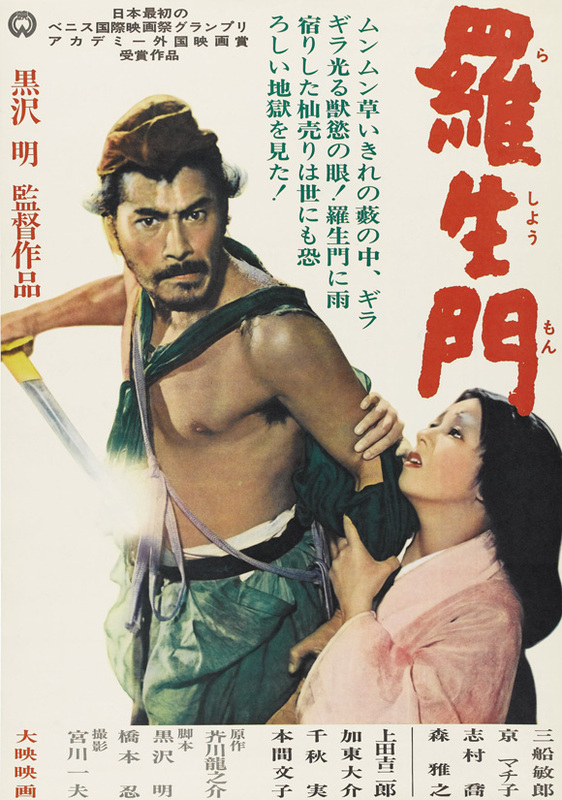 Akira Kurosawa's epistemological crime film Rashomon is adapted from two short stories by Ryūnosuke Akutagawa, the eponymous story lending the film its setting and a second story its plot. That kind of synthesis extends to the way Kurosawa structures the plot, giving us four distinct retellings of a single murder. All of them involve a bandit (the great Toshirō Mifune), a samurai (Masayuki Mori), and the samurai's wife (Machiko Kyō), and all of them end with the samurai dead by the wife's dagger. And even the bandit's story includes that he raped the woman. But that's where the similarities end. The different perspectives come to us courtesy of the three directly involved in the story and a woodcutter (Takashi Shimura) who doesn't admit that he even witnessed the crime until near the end of the film. The woodcutter tells his story to a priest (Minoru Chiaki) and a commoner (Kichijiro Ueda), the latter of whom doesn't represent ignorance or provincialism so much as a jeering brand of lived-in cynicism. I'll not divulge the specifics of each telling, suffice it to say that all of them are possible and none of them are definitive. Kurosawa defies the impulse to identify any of the stories as the true one, even the final one by the sympathetic woodcutter. The commoner laughs through all the stories, pointing out why each teller's selfish motivations puts his version in doubt. "But I'm not lying," the woodcutter protests. "No one tells a lie after he says he's going to," the commoner responds, a statement that I can't quite pin down despite it rattling around inside my skull since I watched the movie. I'd trot out the old "rewards repeat viewings" maxim, but that doesn't quite capture the not-quite-inscrutable allure of Rashomon. It practically requires them, and not in the way as one of those Byzantine mystery movies does. You understand what's happening onscreen, but your brain has trouble assembling it. We are, after all, not accustomed to holding mutually exclusive points of view in our mind simultaneously. If all this sounds like a dull "Intro to Epistemology" class, it shouldn't. Kurosawa manages to push the limits of how we think about filmic convention and the nature of "truth" while still making a romping good movie. The performances are stellar all around, especially the wild animal gesticulations of Toshirō Mifune's bandit and Takashi Shimura's world-weary woodcutter. And if Kurosawa doubts our ability to pin down a single "truth," he believes firmly in the emotional undercurrents that accompany our falsehoods, as the crushing sadness we see in the eyes of the woodcutter, the samurai, and the priest demonstrates. And though it's been said a thousand times, it bears repeating: Kurosawa movies look incredible. 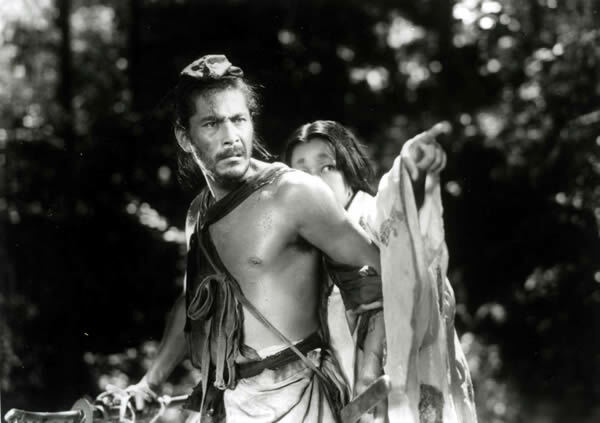 In other words, Rashomon is an altogether terrific film, one that deserves to be watched again and again not because of its inscrutability but because of its unrivaled depth and the endless opportunities for reevaluation it affords. Even in the universally good company of the Essential Art House box set, Rashomon stands out.